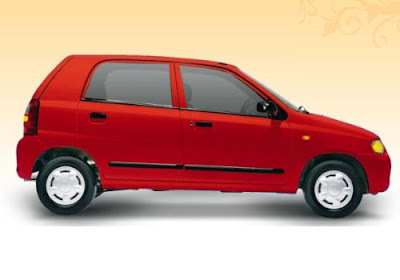 Maruti Suzuki India has launched a new version of its top most selling car Maruti Alto, today. The new version has been powered by the company's most popular K series engine. The all new Alto K10 has been shelved at an ex-showroom price of Rs 3.03 lakh for the base LXi version and Rs 3.16 for the VXi version. 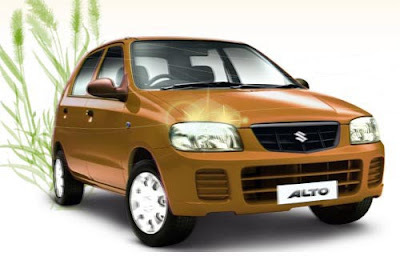 The elder sibling with 800 cc engine would co-exist with the new Alto. The 1 litre K10 engine that powers the new Alto also finds space in the Maruti Suzuki A-Star, Estilo and the new WagonR. The K series engine is Aluminium based light weight engine and offers improved acceleration and pick up. The all new Alto is sure to give a tough competition to Chevrolet Spark and Hyundai Santro. Maruti assures an ARAI approved mileage of 20.2 kmpl. The 1 litre K10 engine would deliver a 68PS of maximum power at 6200 Rpm and 90Nm of maximum torque at 3500 Rpm. Compared to its sibling, the new Alto would be 50 kgs heavier and would reach a maximum of 100kmph in 13.3 seconds as opposed to 17.3 seconds by the 800cc Alto. Apart from the engine being changed, the mechanical aspects of the car would remain same except re-tuned suspension, new cable type transmission for smoother gear shifts and booster assisted braking system. In terms of features there are some minor additions and alterations like dynamic hood, eagle eyed clear lens headlamps, fog lamps and body coloured bumpers. In terms of looks the sides and front end would remain quite similar, but the rear end gets a new look with back door and fresh tail lamps. While in interiors the car would sport dual tone interiors, 3-spoke steering wheel and front and rear passengers integrated headrests. Alto has been one of the most popular models launched by the ace Car maker Maruti Suzuki but always lacked a good range of features which seems to be settled well in the new Alto. Power steering, internally adjustable ORVM, key reminder, remote boot opener, central locking, power windows, rear parcel tray, accessory socket, remote fuel lid opener and electronic trip meter are some of the most interesting accessories that the new Alto would sport.